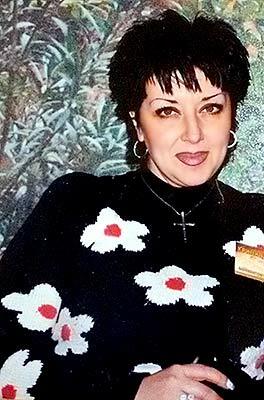 Poltava City Meeting - 82908 Elena Poltava (Ukraine) 42 y.o. I have a lot of interests. I like cooking very delicious dishes. I like to create a comfort and harmony at home. I like traveling. I visited a lot of countries. I also like going to football, listening to music, cooking, singing. I am a down-to-earth woman, is not devoid of softness and warmth, charm and kindness. I am calm, communicative, open, good at housekeeping. I like to create a comfort and harmony at home. My family and close people will be always for me on the first place. I want to find my second half with whom I would like to share my life. I appreciate mutual understanding, respect, marriage, love in the relations, honesty and purity of the relationship. I am looking for a man who is honest, loving, kind, caring, loyal, with a sense of humour.